The 6th Gear Garage consists of 5921 Square feet which will house 14 cars at any time for any type of work to be accomplished. With a clean shop and a dedicated fabrication area the customer never has to worry about their vehicle getting damaged with fabrication debris. 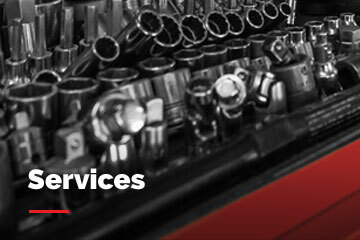 6th Gear Garage is able to provide services to any racer who needs it. Though specializing in GM and Corvettes to be more specific there is many services that can be professionally carried out on any car including but not limited to: Chevrolet, Ford, BMW, Audi, Porsche, Mercedes, Ferrari, Lamborghini, Maserati, Aston Martin, Lotus, Toyota, Lexus, Honda and a variety of race cars. Please never hesitate to call our Manager Rob White for his assistance. Along with our garage services we also have an on-site 6th Gear Shop where we carry a wide variety of performance parts and accessories including; apparel, race suits, gloves, balaclavas, underwear. Through our extensive list of suppliers and partners we are able to acquire most items at very competitive prices. Please contact us to learn more. 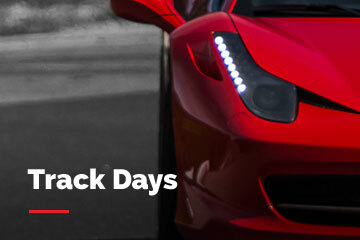 Our full maintenance packages ensure that your performance vehicle is ready for both the race track and the street. We can customize a service plan for you. Offering the full arrive and drive package we have the capability to securely store your vehicle and have it fully maintained and ready to hit the track upon your arrival. One of the most critical components for both performance and safety are your brake systems. Let us help you stop faster and consistently lower lap times. For all domestic brands we also offer Engine Building, Transmission Rebuild, Differential Rebuild & Aero Packages. What types of race cars do we service? Contact us to setup an appointment for your vehicle with our talented team! Motorsports Website by Pure Industries Inc.